At Little Monkeys your child is the centre of our world. We understand that they are unique, and we strive to help them set the foundation stones for fulfilling their own incredible potential in the years to come. 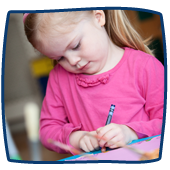 Little Monkeys is a ‘Partner Provider’ nursery group working in association with the City of Edinburgh Council. This ensures your child receives the very best in Pre-school education in a closely audited programme following the Curriculum for Excellence. It also means that parents of children 3 years and above may be eligible for Pre-school funding designed to rebate parents with a proportion of their nursery fees. 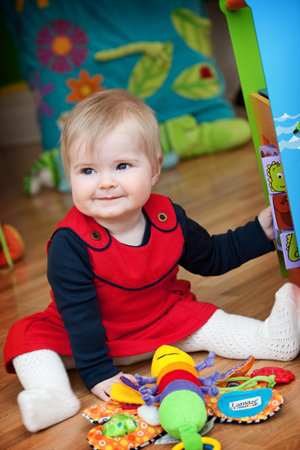 We welcome visitors to Little Monkeys and love to open our doors and show you round! Should you wish to do so please just pick up the phone or drop us an email so that we can arrange a mutually suitable date and time. We know you will have lots of questions and will be looking at more than one nursery so we provide a nursery checklist on this website and on visits. Once you have found your ideal Little Monkeys and have confirmed availability, you will be given an enrolment pack, which gives you lots of information about the nursery and your child’s daily routine. We will also be on hand during this sometimes daunting time to reassure you and answer any furthers queries that may crop up. We recommend lots of smiles, positive chat and confidence in preparation! This can be passed on so easily to your child and helps them to settle in. It’s very normal to feel anxious so we will be there to support you and your child throughout this new experience. During first visits and first days our experienced staff will explain to you and help you through the initial steps. We can also stay in touch during the early days at regular intervals with a quick call to let you know how things are going. Right from the outset you will be given a full verbal and written report at the end of each day too. It never takes long for the children to settle in and start to enjoy themselves amongst their new friends, and we will do everything to ensure we communicate well with you to help it go smoothly and positively. Expressed milk – if required. Dummy – if required – in sealed named container. Comfort item – if required – such as blanket or soft toy. Change of clothes – clearly labelled. Indoor shoes – to be left at nursery. Welly boots – for all confident walkers – to be left at nursery. Real nappies – if required. Any medication – to be left with staff. Formula powder– if required, with a labelled bottle. When your child moves between rooms in the nursery we take a very measured approach. Some children take longer than others to settle, which is completely normal. Your child will get as much time as they need to complete this process, which will begin with short visits with a familiar staff member. What to do if your child is unwell? If your child is unwell, the best thing for them, the other children and nursery staff is for them to be at home. What does the nursery do? We follow the guidelines set out by the National Health Service for recommended periods of absence for children in a nursery setting. We inform other parents if the illness is notifiable, but we do not tell them specific children’s details.